Wondering what are the best baby registry sites? Here’s my guide to the perks and benefits of some of the top baby registries! I truly love creating my baby registry! It’s one of those things that I find great joy in during pregnancy because I’m such a planner, and all the preparation brings you closer to the big day. At the same time, it can also be overwhelming to know what to put on your baby registry, even for someone like me who is obsessed with baby products (hence, two reasons why I created the Baby Registry Guide). Before you even need to decide what baby products you’ll add to your registry, it’s important to choose from the best baby registry sites for your family, because each store has their advantages, freebies, perks, and drawbacks. There are a few great retailers to choose from, but how do you know which one is best for you? Who wants to read all the fine print? Well, naturally me! I’ve analyzed and compared each of the most popular baby registry sites, and ranked them for you. Some moms prefer to only register at one store, while others may prefer to register at multiple stores to take advantage of the discounts and freebies. Many parents will also choose a local baby boutique to register with, particularly for local friends and family who prefer to shop in person. It’s up to you! You can always register at more than one store for the perks, and still only use one main registry for your friends and family. That said, you probably don’t want to waste your time, so let’s look at the best baby registry sites. What should you look for when deciding where to register? How do the popular baby registry sites stack up against each other? Convenience: Is it more convenient for you (and your friends/family) to have your main baby registry at an online retailer like Amazon, or do you prefer an in-person experience? Completion Discount: As your due date gets close, you’ll receive a coupon or discount code to purchase any remaining items that aren’t purchased for you from your registry. This is known as the completion discount, and it is a HUGE factor in deciding where to register. You will likely need to buy some items off your registry for yourself, so this definitely helps when you’re making such a big and important purchase. Return Policy: Stores will usually provide a more generous return policy for items purchased from your baby registry. 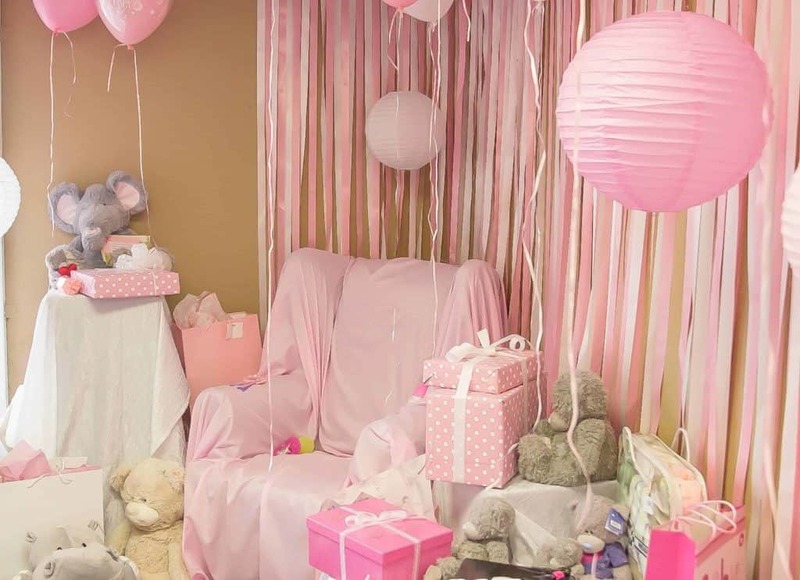 Since most baby showers happen weeks before your due date, this gives you a chance to get settled with your new items and also try them out once your baby is born. Product Selection: Even though a lot of baby registries are now universal, meaning you can add products to your registry from any website, the retailer’s own product selection is an important factor. If you’re primarily looking for gentler baby products, for example, it’ll save you time to register with a retailer that carries these products. Price Match Policy: A price match policy is important because it helps ensure that you get the most competitive pricing on any items you buy from your registry. Most retailers will also give you a free welcome box for creating your registry. While I think it’s fun, I don’t think the contents of the free welcome bags should sway you when trying to choose from the best baby registry sites for you! Now that we’ve looked at what to consider when choosing where to register, let’s check out how each of the most popular baby registry sites stack up against one another. Here’s an overview of each company’s completion discount; return policy; selection of organic, gentle, and non-toxic products; and price match policy. Free welcome box for creating your registry, while supplies last, for Prime members. This is a pretty good welcome box that currently (at time of writing) includes a free muslin swaddle and other goodies. Here are step-by-step instructions on how to claim your Amazon welcome box. The 90-day return window is shorter than most other registries, but is still really great. You can return most baby items from your registry for free within 90 days. You don’t have access to “in-store” assistance. However, if you are looking for a baby product that I haven’t addressed here on The Gentle Nursery, I’d be happy to find a recommendation for you. Don’t hesitate to contact me and let me know what you’re looking for, and I’ll try to provide some options. Amazon has really stepped up their baby registry offering in the past couple of years. I also recommend joining Amazon Prime (right now, there’s a free 30-day trial for new members). For $99 per year, you’ll save 20% on diaper subscriptions, receive special coupons and deals geared toward families, receive free Two-Day Shipping on millions of products, and gain access to unlimited instant streaming of thousands of movies and TV shows (this is a huge benefit once your little one gets a bit older) and unlimited, ad-free streaming of over a million songs. I love Amazon’s commitment to customer service, and feel confident recommending that parents shop with Amazon for most of their purchases. I love buybuy BABY. Their customer service is exceptional and they have a good selection of premium brands and natural products. They are part of the Bed Bath & Beyond® family of brands, which means that they are very generous with sending you 20% off coupons. They only have 135 locations in the United States, but they ship to all 50 states. Target’s baby registry is more limited than Amazon’s in terms of the number of relevant natural/organic/non-toxic/etc. products you’ll find, but it’s still worth considering – especially if you end up buying a lot of items from there yourself. But I’m glad to see that Target is becoming way more organic/natural-minded and are really paying attention to customers that buy these products. Target REDcard holders receive free shipping on most orders, an extra 30 days for returns, and 5% off all Target purchases. If you shop at Target as much as I do, it’s a must-have. Target has almost 1,800 locations in 49 stores in the United States. Target may be a convenient choice for friends and family members who prefer to shop in person. The registry is now a universal registry, meaning that you can add products to your Target registry from any website. Their selection of natural, organic, and non-toxic products is still limited, but growing! I also received some mixed feedback on the customer experience (for example, Target automatically added Johnson & Johnson products to baby registries), so personally I would still stick with Amazon. There you have it – I hope this list was helpful in choosing your baby registry. Where did you end up registering? Amazon? Target? buybuy BABY? After you’ve chosen from the list of best baby registry sites, and created your online registry (or registries! ), visit my baby registry guide to start filling your registry with healthier, safer items.